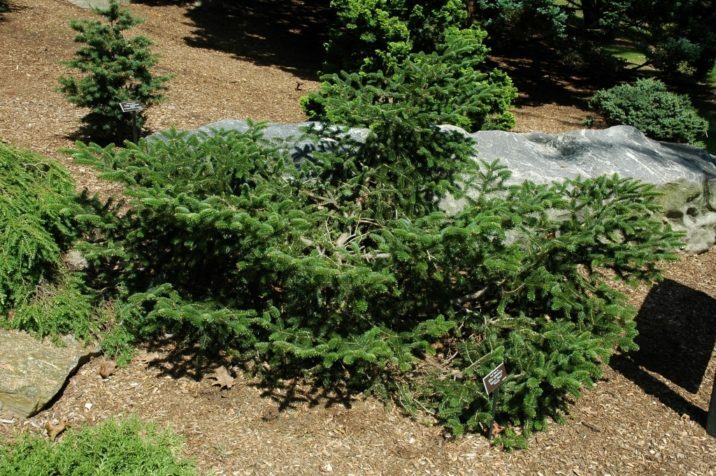 Abies cephalonica 'Meyer's Dwarf' is a dwarf selection of Greek fir that presents itself in many different forms presumably dependent on the nature of the scionwood used in propagation of individual plants. Its most common form is low and spreading, forming a mat of rich, glossy green needles with no tendency for apical dominance. However it is also commonly seen forming leaders and developing into a dense, squatty conical tree. Needles are shorter than typical of the species, 0.32 to 0.6 inch (8 -15 mm) long and are stiffer, tending to radiate about the shoot. Annual rate of growth is 2 to 3 inches (5 - 7.5 cm) per year. This cultivar is of unknown origin having been distributed around Europe and eventually North American since the early 1960s. 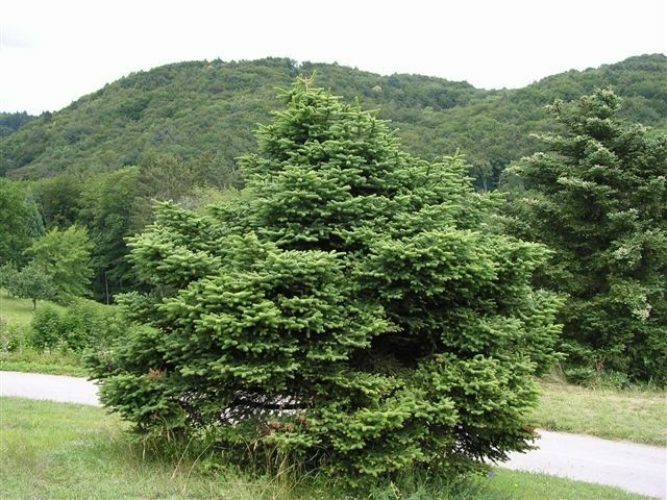 It is thought to have been introduced to the nursery trade by Hillier nursery of the United Kingdom and by Konijn nursery of The Netherlands. It is synonymous with the cultivar 'Nana' which is an illegitimate name having been published after 1959. 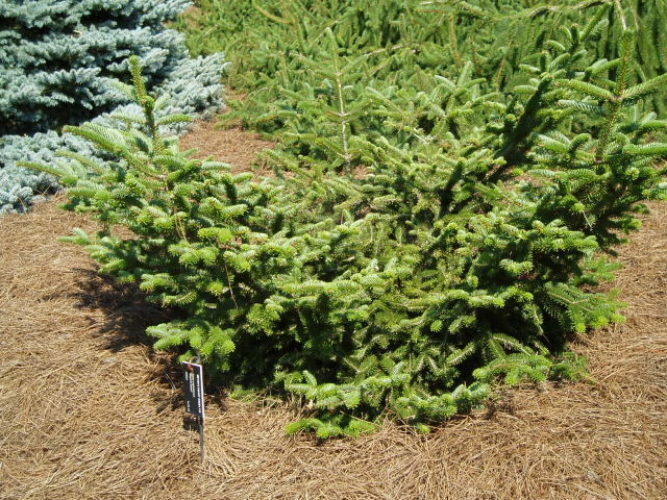 Abies cephalonica 'Meyer's Dwarf.' — a closeup detailing a bloom of pollen cones in early spring. Abies cephalonica 'Meyer's Dwarf' at the Harper Collection of Dwarf and Rare Conifers at Hidden Lake Gardens in Tipton, Michigan. Abies cephalonica 'Meyer's Dwarf' — a very old specimen growing in Belgium. 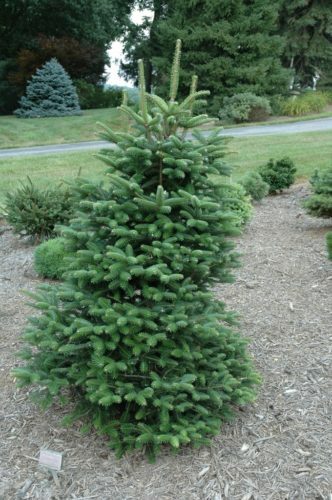 Abies cephalonica 'Meyer's Dwarf' — a specimen displaying a spreading tendency. 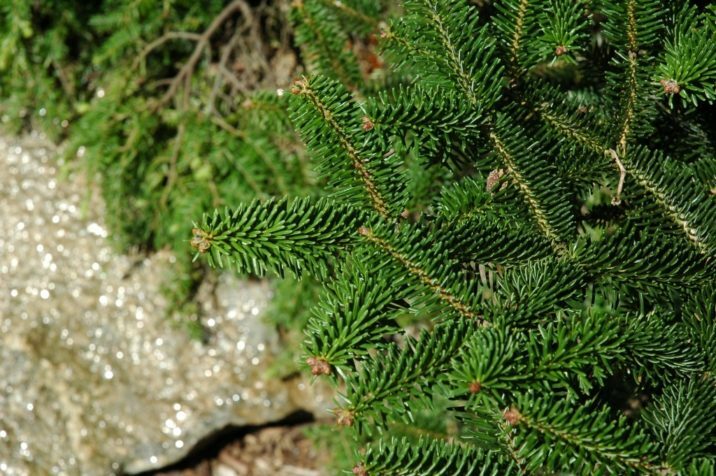 Abies cephalonica 'Meyer's Dwarf' — a closeup of foliage detail. 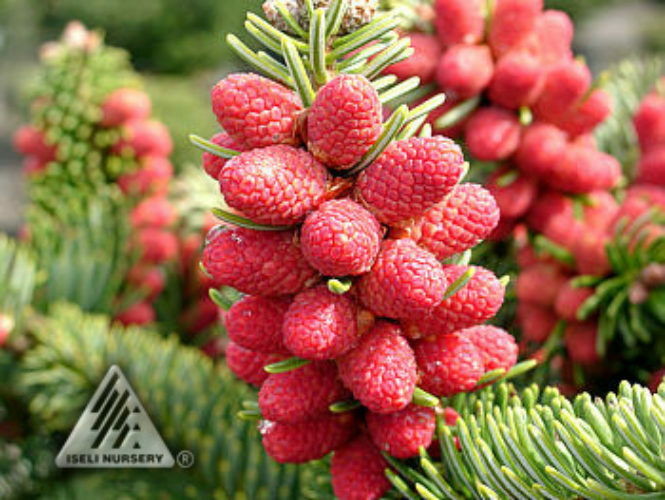 Abies cephalonica 'Meyer's Dwarf' — a tree that has developed a leader, forming a dense conical shape. 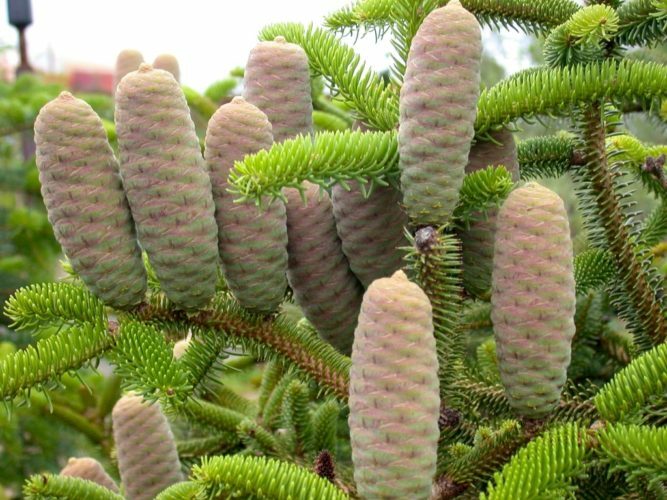 Abies cephalonica 'Meyer's Dwarf' — en exceptional closeup detailing a nice crop of seed cones.